It’s hard to believe that we’ve wrapped up our 40th season here at SNS—time flies. It’s been another year of outstanding trophies, unforgettable memories, and first time hunters. 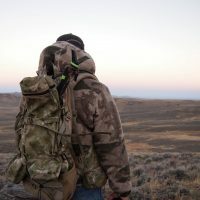 We are thankful for all of the hunters who chose to experience their Wyoming (or Montana) hunts with us. A big thanks goes to all of our hunters who joined us during the 2017 season! You are the reason we do what we do. Thank you for choosing SNS Outfitter and Guides, and we hope to see you on an adventure in Wyoming again. We’d also like to thank our guides, cooks, camp jacks, wranglers and staff for another outstanding season. These folks work tirelessly to give our clients a safe and enjoyable experience. Boots are one of the most important things that you’ll purchase for any western hunt. Unlike items that can be borrowed from your buddies like a jacket or optics, boots are a personalized item that’s going to fit everyone differently. The 2017 hunting season is still underway in many areas. 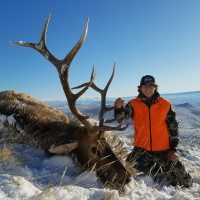 But believe it or not, it’s time to start planning your 2018 Wyoming Elk Hunt. Nonresident elk applications are due no later than the end of January. In a little over two months, it’ll be too late! It’s hard to believe that October has come and gone. 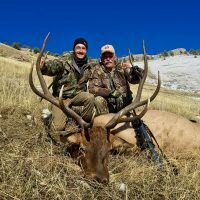 We’ve had a fun month of hunting in Wyoming, including some memorable antelope hunts, mule deer hunts and elk hunts. 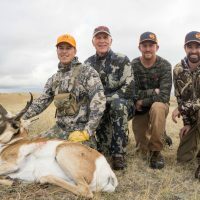 Ever wonder what the experience is like, on a guided antelope hunt with SNS Outfitter and Guides? 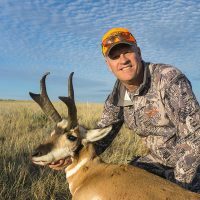 Here’s a photo journal from a recent 2017 hunt, taking you each step through one of our Wyoming hunting adventures! Welcome to camp! First, hunters can get settled into their rooms and get acquainted with the camp staff. 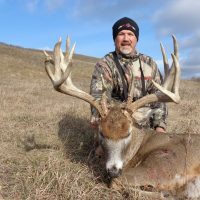 A guided hunt is an awesome experience. It often means seeing a new area for the first time, and sometimes hunting a new species for the first time. 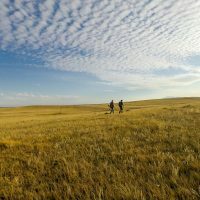 One of the most common questions we receive from our guided hunters is what they are responsible to bring. 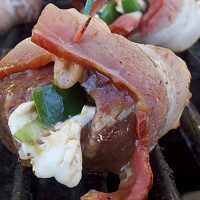 September Photo Blog: Antelope Hunting and More! What a start it has been to our 2017 fall hunting season in Wyoming! 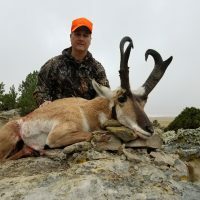 Pronghorn hunting began with a bang when one of our clients took a beautiful record book antelope on opening day of rifle season! 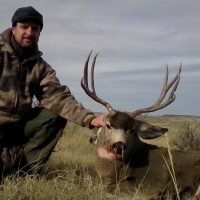 Plus, clients have already taken some outstanding black bears, mule deer and elk.